Thanks so much for tuning in and welcome to Season 3 of the Live Streaming Sunday Sessions. This week, we focus on 3 exercises to help you develop full, smooth, legato strokes. Triple Beat, Stick Control and a Singles Pyramid to help build chops! 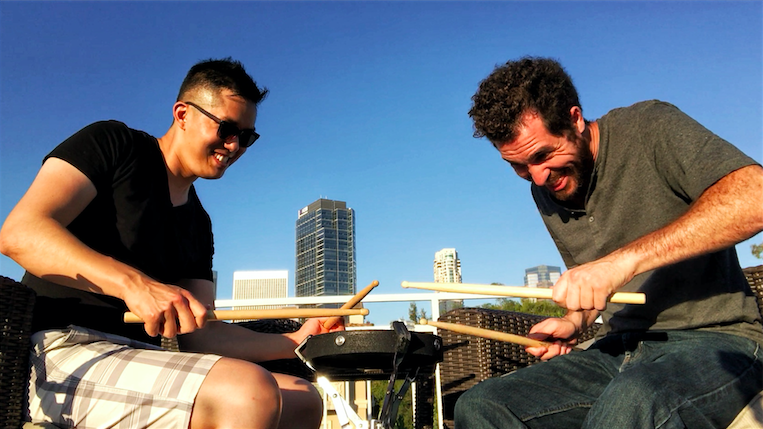 As teachers and players, we often observe and comment on playing with a smooth motion because it's a visual cue that reflects how you're feeling, holding the stick, moving the stick, and as a result, how you'll sound. in each hand, gradually increasing the number of strokes, and filling in the parts. Today's lesson is also featuring good friend and special guest, Sean Flynn, Vanguard alum and Pulse Percussion tenor tech. When you watch Sean play, you'll understand why today's lesson is title, "Like Buttah!" Be sure to tag me us on your favorite social media platform @seanflyynn and @hueiyuanpan.